Being a football hipster is serious business with knowledge about the young starlet making waves for a non-mainstream mid table side often a prerequisite rather than a feather in the cap. 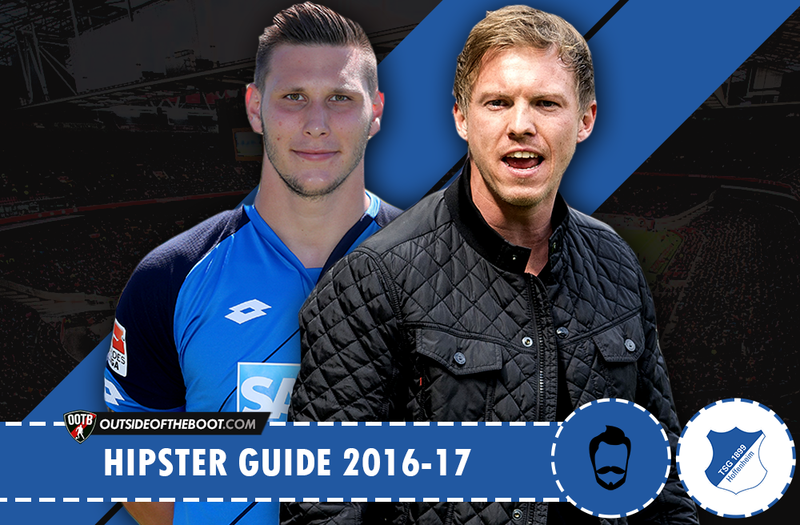 To further enhance your, perhaps, burgeoning reputation as a true hipster, Outside of the Boot is on hand to provide an in-depth guide to some of the less celebrated teams around Europe. 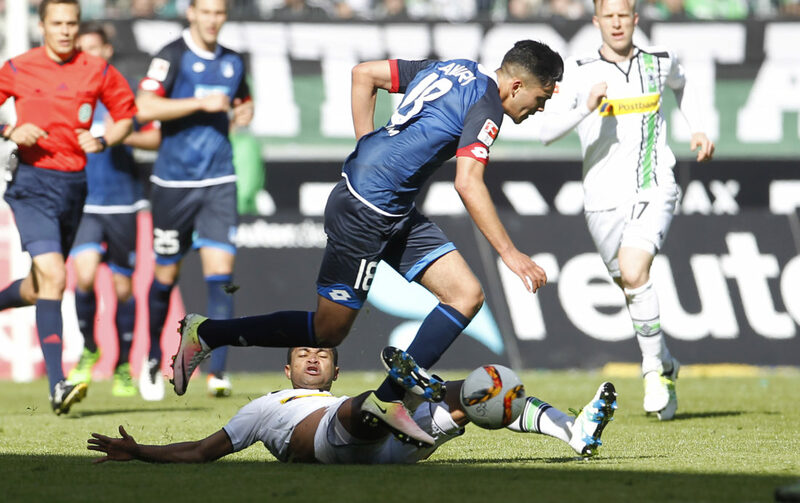 In this edition of the series, Siyang Xu has a look at Hoffenheim. A club playing in the fifth division of German football as recently as 2000, TSG 1899 Hoffenheim have had a rapid rise up the German football pyramid, backed by billionaire and club supporter, Dietmar Hopp. Although he is now the owner of software company SAP AG, Hopp used to play for the youth teams of Hoffenheim as a kid, and has bankrolled the club’s ascent through the lower leagues. His €100 million investment in building the new stadium, completed in 2009, has also been key for ensuring Hoffenheim’s stability as a top level club. Hoffenheim have now been a part of the Bundesliga since 2008 but have struggled to finish anywhere above mid-table, with their highest finish of 7th coming all the way back in their first season in the top flight. There is now hope, however, amongst the supporters of Die Kraichgauer that the future holds better fortunes with arguably one of the most promising managers in the world at the helm. In February this year, Hoffenheim came to the forefront of European football news with the appointment of 28-year-old Julian Nagelsmann as their head coach, the youngest in Bundesliga history. Nagelsmann was due to take over at the start of this upcoming season, but was fast-tracked into the job after previous manager Huub Stevens left the job due to problems with his health. With the club staring relegation down the barrel, Nagelsmann had to hit the ground running and he did not disappoint. A very impressive 10 wins from the remaining 14 games of the season was enough to keep Hoffenheim up, without the need to play the dreaded relegation play-off, finishing the season in 15th. Nagelsmann’s appointment may look like a big gamble for a side regularly flirting with relegation, but to those within the club, the decision to make the young German the new manager was more an inevitability than a risk. Hoffenheim have always prided themselves on developing both players and coaches from within, and to them, the promotion of Nagelsmann, known to some as “Baby Mourinho”, from the youth teams to head coach is no different to integrating a talented young player from the academy to the first team. The board have been unequivocal in their support, with Alexander Rosen, a director at the club, replying with a very firm “because he can do it” when asked why Hoffenheim chose to appoint this (to the outside world) unknown manager. Nagelsmann has had various successes with the youth sides at Hoffenheim, but leading the U-19 side to the national title in his first season remains his best achievement. He regularly displayed all the attributes of a top manager throughout his time at the club, attracting the attention of the directors at a very early stage. Youth is often confused with inexperience, but as Nagelsmann has dedicated his career to coaching from the age of 18, he has already accumulated 10 years of experience working in the game, far more than many ex-players who are often thrown straight into management after retiring, despite having no experience in coaching whatsoever. Nagelsmann maintains the idea that adaptability is key to succeeding in football, and regularly makes small adjustments, both before and within matches, according to the opposition. He does primarily prefer to attack, however, citing the football of Barcelona and Arsenal as inspirations. Pep Guardiola has also been mentioned as a coach Nagelsmann admires, but it is no surprise that he also believes in a similar style of football as ex-mentor Thomas Tuchel. “I like to attack the opponents near their own goal because your own way to the goal is shorter if you get the ball higher up,” he said, indicating he likes to attack with speed, directness and intensity, as well as counterpressing high up the pitch in order to win the ball back in advantageous areas. Generally, Nagelsmann tries to utilise the wide areas and half spaces for penetration and creation, with particular emphasis on using full backs in advanced areas to create overloads. Nagelsmann places more emphasis on his overall game plan and strategy rather than any specific formation. He has already used a variety of different set ups during his short time at the helm, and it is likely we will see a similar level of variety during his first full season. 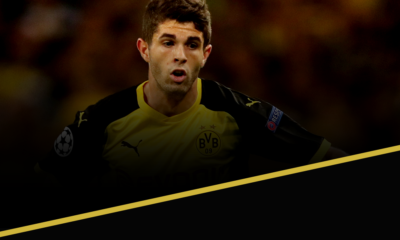 For example, despite using a 4-2-3-1 during his first victory as Hoffenheim manager against Mainz, he immediately switched to a 5-4-1 the following game away at Dortmund in order to deploy a more effective pressing scheme higher up the pitch and prevent Dortmund from progressing and circulating the ball easily. The move seemed to work too, with Dortmund particularly struggling to build up in that match, as a result of Nagelsmann forcing them into wide areas in early phases of possession. Had Sebastian Rudy not been sent off midway through the second half, with his side 1-0 up, Hoffenheim may have been able to hold on to a famous victory, but three goals in the last 10 minutes by the hosts against a rapidly tiring 10 man opposition earned Dortmund all three points. Leicester’s flop and former record signing Andrej Kramaric has been Hoffenheim’s main addition to the squad this summer after a successful loan at the Wirsol Rhein-Neckar-Arena last season. He faces the humongous challenge of replacing the goals of outgoing Kevin Volland, who has left for Bayer Leverkusen in a £17m deal. 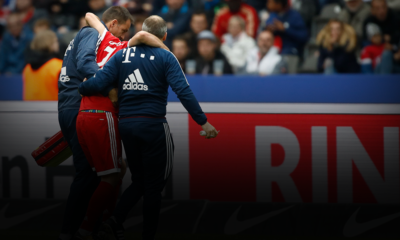 Also brought in to share the goalscoring responsibility that Volland has vacated, Sandro Wagner will be looking to build on his impressive 14 goal haul for SV Darmstadt 98 in their first season in the Bundesliga for 34 years. Lukas Rupp, Kerem Demirbay and Kevin Vogt have also joined from Stuttgart, Hamburg and Koln respectively, whilst experienced centre back Benjamin Hübner has been brought in from Ingolstadt. Luckily for Nagelsmann and Hoffenheim, Volland’s sale remains the only key departure from Hoffenheim so far. Tobias Strobl will be missed in midfield after he left the club on a free transfer to Borussia Monchengladbach, but can be replaced by Rupp or Vogt. Bit-part players like Janik Haberer and Jens Grahl have also left for pastures new. Oliver Baumann – The Bundesliga seems to have an endless array of talented goalkeepers and Baumann is definitely right up there amongst the best. Although not yet capped by the German national team, mostly due to the high level of competition from the likes of Manuel Neuer, Bernd Leno and Marc-André ter Stegen, Baumann has competed for Germany at all youth levels above U-18s. As well as being a solid shot stopper, Baumann is more than competent with a football at his feet and will play a vital role in starting attacks for Hoffenheim this season under Nagelsmann. 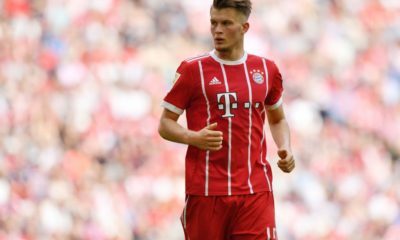 Niklas Süle – Süle may only be 20-years-old but the young centre back has already accumulated 75 Bundesliga appearances in his short career. Currently playing for the German U-23s at the Olympics, Süle will be key in the heart of defence, using his excellent reading the game to put out fires and also making use of his excellent technical ability on the ball. Nagelsmann generally likes his centre backs to be heavily involved in build up, often asking them to step out into midfield in possession, meaning Süle will be a key part of the team’s offensive strategy. Pavel Kaderábek – The Czech right-back is a key part of Hoffenheim’s first XI, with an important role in both the offensive and defensive phases of the game. 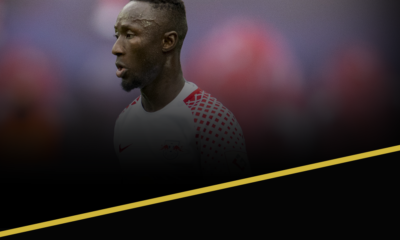 He is a dangerous threat going forward, and is even capable of the odd goal, as he showed in the European U21 Championships last year, although these instances remain rare. Coupled with Eduardo Vargas on the right flank, the pair can provide problems for many defences. The young attacking midfielder made the breakthrough from Hoffenheim’s reserve team to the first team at the start of last season and hasn’t looked back since. He has shown plenty of potential with his agility, guile and creative ability, but now needs to add a more consistent end product. A return of four goals and four assists in his first season at the top level is by no means underwhelming, but you get the feeling when watching him that a player of his ability can definitely take it up a notch. With clubs like Liverpool, Tottenham and Atletico Madrid regularly scouting the youngster, Hoffenheim fans better enjoy him whilst they can. The signs look promising for Hoffenheim and Nagelsmann’s first full season at the helm is likely to hold a lot to look forward to. It’s believed that finishing in the top 7 is well within the sights of the young head coach, which would of course bring European football to the Wirsol Rhein-Neckar-Arena. Not bad for a club from a village with just 3000 inhabitants.